Web analytics are a key element when it comes to measuring the performance and effectiveness of your website. Analytics tools monitor a wide variety of statistics, from traffic to visitor behaviour, and finding the right web analytics tool for your website is important. User opinion might be crucial to you, or maybe analysing the impact of different traffic referral strategies is your main priority; whatever the case, it’s worth taking some time to jot down what you need your analytics tool to be able to do so you know exactly what you’re looking for. There are plenty of tools out there, some paid for and some free, that do a fantastic job at demystifying web statistics. Today we’re focusing on some of the web’s best free web statistics tools and we’re bringing you a range of choices – from the world renowned to emerging superstars. Undoubtedly the web’s most famous analytics tool, this is the perfect place to start. While there isn’t a single tool on this list that covers every base, Google Analytics offers the widest variety of insight into your website traffic. To name just a few, you can delve into traffic sources, on-site behaviour, network referrals and demographics. As well as providing accurate data, Google Analytics also helps you improve your site’s SEO with helpful tips on optimising your website and creating content tailored to your visitors’ preferences. For the busy website owner or marketer who wants easy access to a plethora of data without too much legwork, Google Analytics is the smart choice. 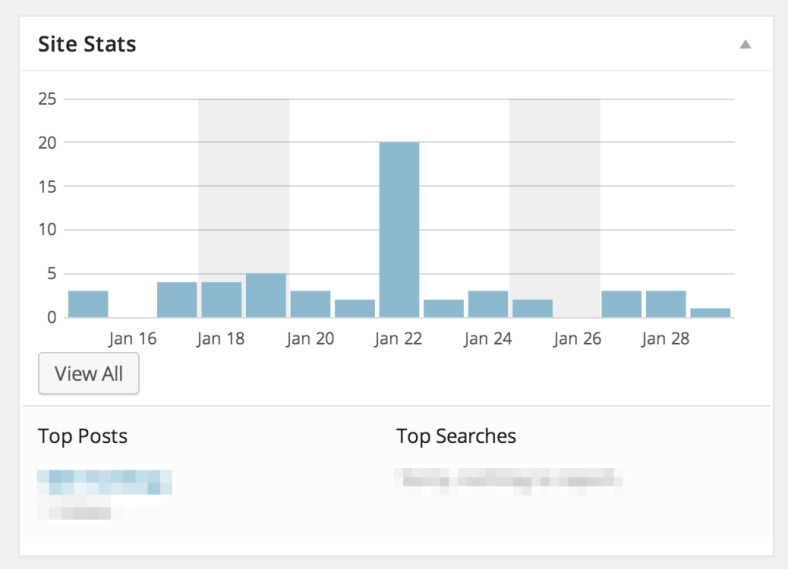 However, for those wanting a more in depth analysis of their traffic, you might be best to look elsewhere. We wouldn’t recommend ever running more than two web statistics tools or plugins at any one time but if you’re looking for a tool to run alongside Google Analytics, iPerceptions should be at the top of your list. 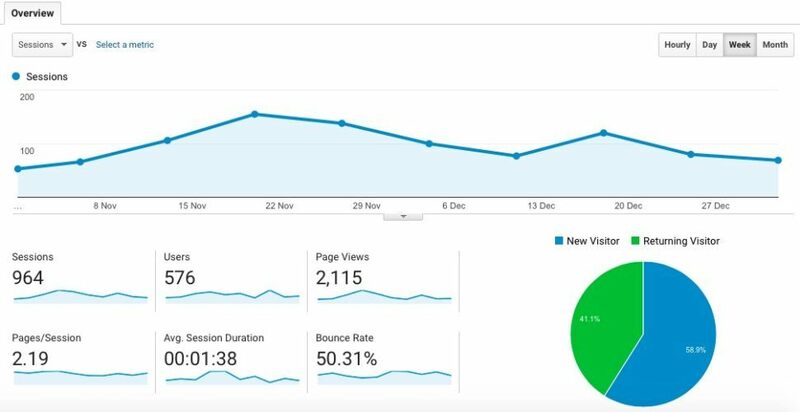 While it isn’t strictly a web statistics tool, it works harmoniously with Google Analytics to give you an even deeper understanding into the way visitors user your website and what you can do to make the experience better for them. 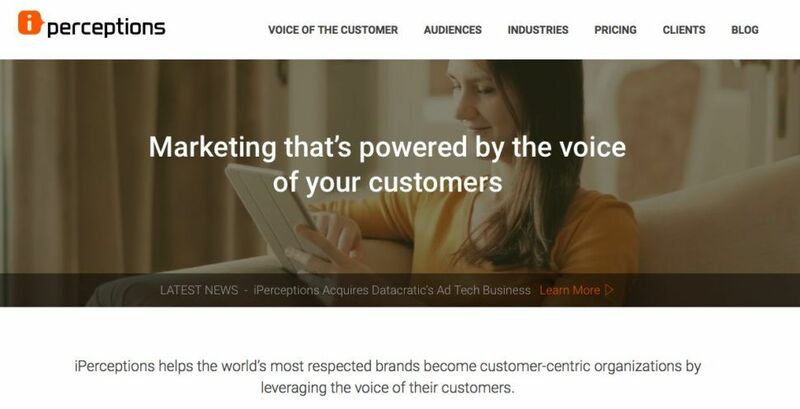 iPerceptions uses a simple on-site survey to ask your visitors four quick questions about both themselves and your website, including how the site is working for them and if there’s anything you should do to fix the site. Combining these responses with the data from your GA account gives you both the qualitative and quantitative data you need to really get to know your audience. Beloved by WordPress users (and for good reason! ), Jetpack upgrades self-hosted WordPress sites with a suite of services and features designed to make life easier and more effective. Some of the highlights can be found in the Stats service, which allows you to see your site visits, most viewed pages and the commonly used search terms that bring people to your site. All of this is available right there in your WordPress dashboard, making this option a great choice for busy WordPress site owners who want the most important stats available at a glance. 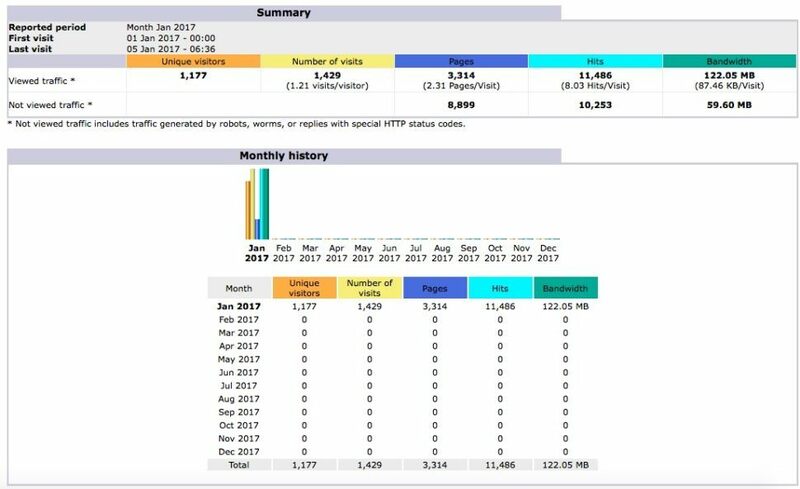 For those out there who are looking for an open-source web statistics tool, AWStats might be just what you need. This free tool works server side, so can run on multiple websites that are on the same server. Currently only basic features and stats are available (think unique visitors, page views and visit duration etc) but it’s a solid choice if open-source is what you’re after and a basic set of data is all you need. If you’re currently running a small to medium-sized website or blog then StatCounter is a great choice for you, as the service’s features and tracking options are free for up to 250,000 visitors per month. Offering heat maps, search engine comparison, HTTPS website tracking, keyword analysis and more, StatCounter gives you an in-depth look at how visitors find your website and how they behave once they reach you. In case you don’t want to spend time digging through the mountain of data StatCounter provides, you can set up a weekly summary to be emailed so you can keep an eye on the highlights quickly and easily. Piwik is another open-source option but that’s not the main reason why it’s on the list. The reason it caught our eye is because it’s fully self-hosted, meaning any data you collect is hosted on your own services instead of by a third-party company. This makes Piwik a particularly attractive option if it’s important that you keep the data you collect private. 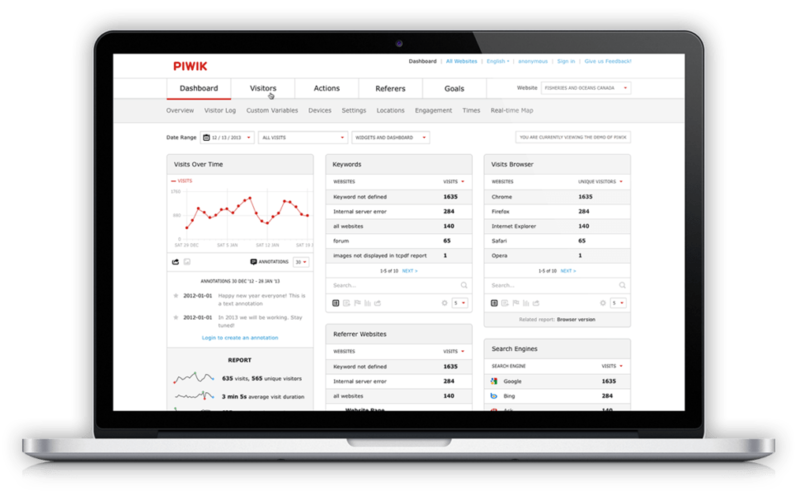 Even without the self-hosted bonus, Piwik is a solid tool that stands up against the established giants like Google Analytics and co. You can keep an eye on your real-time visitors, easily see where your site visitors are referred from and even create groups based on various demographics.